So it turns out that there's this big watch convention thing going on in Switzerland (hint: we didn't go), where a lot of smartwatches have debuted. Baselworld 2017 has been a hub of timepiece activity, with us seeing plenty of new entrants into the Android Wear fold. 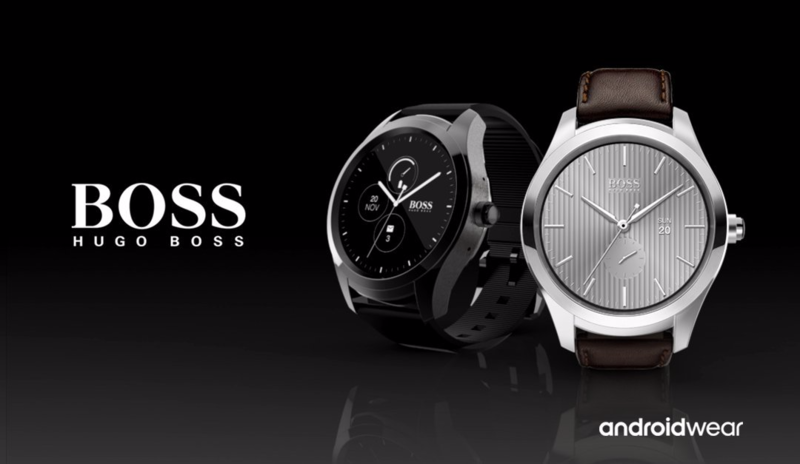 One of these is Hugo Boss with the Touch. At first glance, the Touch looks pretty traditional. Most of the new Wear devices announced lately have been too sporty for my taste, but I like the look of this one. The render above makes the watch seem relatively thin (all things considered)... but we'll need to actually see one to get a feel for that. It also seems pretty generic — in the sense that you could find a regular watch that looks like this in a jewelry store anywhere. However, that's not really a bad thing and I'm glad to see more smartwatches going this route. Further official details like specifications, price, and availability are pretty scant at the moment. Although, the website Wareable was told that the watch would cost $395 and will go on sale in August — the site also claims that the watch has NFC, but no heart rate sensor. We're still looking for confirmation, but I thought I'd just throw that in there.